Heritage Green Condominiums North Andover MA is located on Chickering Road (route 125) on Farrwood Avenue, Fernview Avenue and Edgelawn Avenue. There are 37 buildings of 438 garden style condos on 40.8 acres in the community. The condo fee ranges from $300-$468 per month and it covers heat, hot water, gas, water, sewer, master insurance, swimming pool, exterior maintenance, road maintenance, landscaping, snow removal, tennis court, playground, exercise room, clubroom, refuse removal. Heritage Green Condominiums is pet friendly and features a club house, exercise room, tennis, playground, and an outdoor pool. Units consist of 1-3 bedrooms, 1-2 bathrooms, 580-1300 square feet, private balconies/patios and a range of other features like granite counters, hardwood floors, central a/c, and wall to wall carpeting. 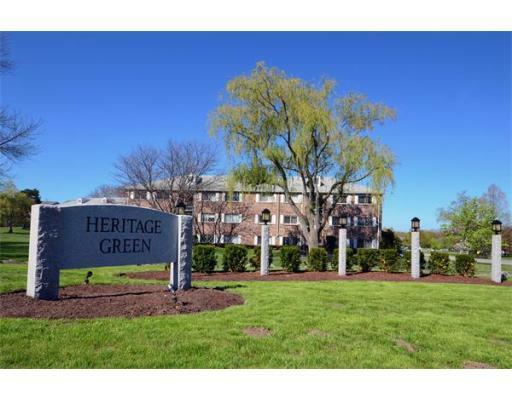 Pets are allowed in Heritage Green Condominiums.